DINNER WITH FRIENDS follows Karen and Gabe, who played matchmaker with their friends Beth and Tom. Ever since, the two couples have been inseparable -- going to the Vineyard every summer, raising their kids and enjoying countless dinners together. But when one marriage unexpectedly crumbles, the couples' lives begin to veer in opposite directions. Can these four friends move on to the next chapter without moving apart or have they changed beyond recognition? Bringing this comedy/drama to life under the direction of Brad Sergi are REP favorites Leslie Connelly, Dennis Hadley, Jack Impellizzeri and Nancy Lantis. The winner of the 2000 Pulitzer Prize for Drama, DINNER WITH FRIENDS has been rated REP-MA, for mature audiences. It may not be appropriate for young children. DINNER WITH FRIENDS will run May 8 through June 6. Show times are Friday and Saturdays at 8:00 pm and Sundays at 2:00 pm. Tickets are $25 for adults and $20 for students and seniors. Group rates are available. For tickets, purchase online at www.the-rep.org or call 661-288-0000. 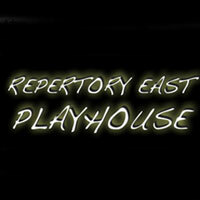 The Repertory East Playhouse is located at 24266 Main Street in Newhall, CA. 91321. Following DINNER WITH FRIENDS in the REP's blockbuster 2015 season is the Andrew Lloyd Webber musical JESUS CHRIST SUPERSTAR, which will open July 10 and will be followed in the fall by The DIVINERS and DEATHTRAP. For ticket information, visit www.the-rep.org. Located at 24266 Main Street in the heart of Old Town Newhall, The REP is Santa Clarita's Premier Theatre Experience and is home to The Hydeaway Lounge featuring full-service cocktails. The warm, inviting atmosphere is the perfect place to have a drink and mingle with other patrons.